McClure’s words and images complement each other, beautifully evoking the timelessness of an old story set in striking land and seascapes. She interweaves the traditional selkie myth with the life of a boy, Peter, who lives by the sea with his granny. Granny warns Peter not to have anything to do with nearby Seal Island or the oysterman, whose objective it is to capture a selkie, a seal woman. But Peter, fascinated by both the notion of the selkie and her would-be captor, does not obey. Down on the rocks, he frees a seal/selkie from the oysterman’s net, but as they wait for the tide to come in, she is again captured. Once more, Peter frees her, this time from the house of the oysterman and his wife. As he returns her to the water she grants him, in gratitude, an understanding of the secret language of the sea, the gift the oysterman also desired but through his greed and roughness did not gain. McClure’s line is graceful, bringing life and credibility to her characters, humans and seals, and her images in acrylics have a luminosity that matches her setting. The use of a landscape format and framed images, often with borders, heightens the otherworldly atmosphere, while, at the turn of a page, we are right with Peter on a rugged island or shoreline. 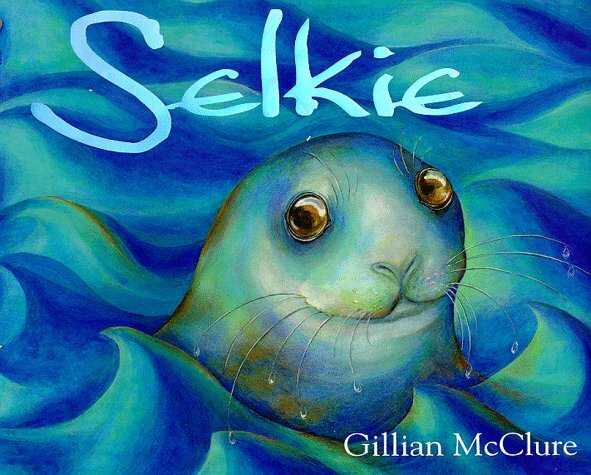 Like many of McClure’s other books, Selkie holds a sense of something hovering at the edge of consciousness, known and unknown. Originally published in 1999, it is deservedly reissued for a new audience.